Jane is a partner at MBM Commercial LLP and specialises in Commercial Property and Renewables. Jane began her legal career as a trainee at Shepherd+ Wedderburn in Edinburgh, specialising in commercial property upon qualification. At Shepherd+ Wedderburn she gained a wide range of commercial property expertise acting on behalf of developers, occupiers, investors, banks and financial institutions. During this period, Jane was seconded to work for Miller Developments where she worked alongside the Legal Director as part of the in-house legal team within the Miller Developments Group. 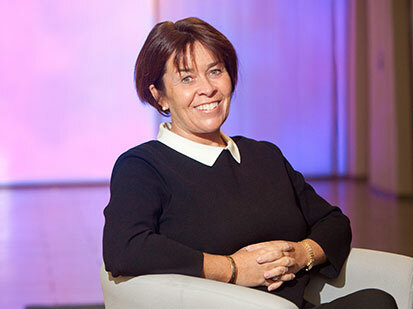 In 2005, Jane was invited to join MBM Commercial as a partner and Head of the Commercial Property team. Since joining she has continued to build upon her extensive property experience acting for new and existing clients – from technology start-ups through to multinationals. Jane regularly provides commercial property support to corporate colleagues on transactions which involve property interests. Jane’s experience covers a wide ambit of commercial properties: office, leisure, retail, warehouse, restaurant, development, petrol filling station, nurseries etc. In addition, Jane has experience in acting for insolvency practitioners in their disposal of property interests and also for parties wishing to acquire property through their SIPPs. Since joining MBM Commercial, Jane has taken a specific interest in the renewable energy sector gaining experience in wind, hydro, PV solar and waste to energy projects. She has acted for developers, landowners and investors in numerous green energy schemes in Scotland. Jane enjoys skiing and sailing in her spare time and spending time with family and friends. Acted for Microsoft in their lease of Scottish Headquarters at Waverley Gate, Edinburgh. Acted for Invista Real Estate Opportunity Fund in the acquisition of former Edinburgh Academy Boarding houses. Acted for Palmer Capital Limited in multi-million-pound sale of a prime Edinburgh residential development site. Acted for Bertram Nursery Group in the acquisition, letting and refinancing of their Scottish property portfolio. Acted for Tiso Group in the refinancing of their Scottish Property portfolio. Adjusted template option and lease documents for PV solar projects in Scotland and acting for landowners in connection with these developments. Acted for a renewable energy consulting firm advising on the installation of 19 small scale hydro sites in the North-West of Scotland, reviewing and agreeing Option Agreements and Leases. Advised on property aspects of a waste to energy recycling plant in South West Scotland. Acted for an investor in a wind farm project near Inverness to include reviewing and reporting on the Option Agreement, Lease and Step-in Agreements and ensuring adequate access rights from the Forestry Commission. Acted for private landowner in a wind farm project on the west coast to include reviewing and agreeing Option Agreement and Lease and reviewing and reporting on the Turbine Supply Agreement and the Maintenance and Service Agreement for an Enercon turbine.